Sleep RestfullySleep Comfortably. Sleep Peacefully. Sleep Restfully. VPAP- or Variable Positive Airway Pressure- devices are highly recommended for patients diagnosed with sleep disorders and different breathing dysfunctions. The VPAP machines deliver high quality, therapeutic pressure for the patient to breathe uninterrupted and unobstructed during sleep. Emphysema, pulmonary inefficiency, lung disease, Obstructive Sleep Apnea or Central Sleep Apnea are all conditions in which the patient cannot get a sufficient amount of oxygen into their lungs. Their upper airways are obstructed, their bloodstream lacks sufficient oxygen, and these devices will restore the balance by delivering rich oxygen for the patient to breathe in. 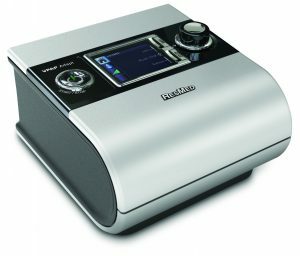 The CPAP machine provides the patient with Continuous Flow – a constant dose of pressure for the patient while he breathes in and exhales. the VPAP machine actually “reads” the breathing pattern of the patient and delivers high pressure when he inhales, and a lower dose of pressure for exhalation. Many patients find the CPAP machines quite uncomfortable mainly during the exhale process. Not all patients can get used to exhaling “against” a higher pressure coming from the machine. In that sense, VPAP devices incorporate much smarter technology which is custom tailored to the exact breathing pattern of the patient. VPAP machines offer extremely efficient treatment for Central or Obstructive Sleep Apnea. 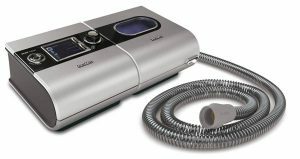 The greatest majority of innovative VPAP machines you will find featured on SleepRestfully.com are very easy to use even for first time sleep therapy patients. The incorporated humidifiers help delivering constant and comfortable temperature + humidity levels through the mask of the patient. The humidifiers generally maintain both humidity and temperature of the oxygen, all throughout the night. Humidifiers are perfect for patients who struggle with certain allergies, or who adapt difficultly to sudden climate changes. 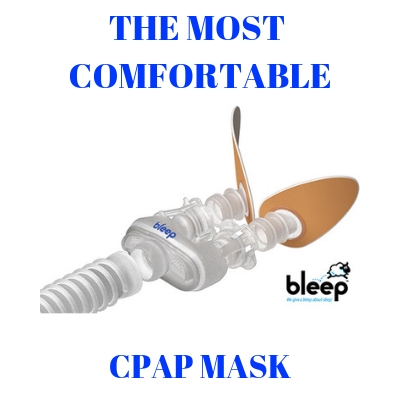 SleepRestfully is the leading supplier of some of the best quality VPAP, BiPAP or CPAP machines for sleep therapy. The friendly team of experts at customer service can also help you select the right type of accessories that will make your treatment even more efficient and comfortable. At SleepRestfully we can afford to offer the most competitive prices on the market as we deal directly with the suppliers of this type of equipment. We ship on a nationwide level, and if you need advice on a certain type of VPAP device, please call for expert assistance. Call us if you are in the US toll free at (866) 923-2727 or email us from anywhere at sales@sleeprestfully.com and we will be glad to discuss your needs and pricing. ResMed VPAP machine pricing is dependent upon the actual machine that has been prescribed for your sleep apnea. Please call SleepRestfully.com toll free at (866) 923-2727 and we will be glad to assist you with pricing. I use a BiPAP machine. When, several years ago, I tried a Variable machine in a sleep study, I was frustrated because it acted more like a ventilator. If I paused after exhaling, it turned on the pressure and made me inhale before I wanted to. There must be some way to allow a few seconds of rest between breaths without being awakened by the machine! Don, I understand what you are saying. Without knowing the exact BiPAP machine you are using and your medical diagnosis I cannot give you a good answer. Please call me at your convenience and I will be glad to discuss with you. There doesn’t seem to be a way to set the Vpap to ramp up without turning it off. After waking up after 5 hours of sleep or so, the Vpap gives me a big blast of air everytime I start to doze off. I suppose this happens because my breathing paused. I feel I have to choose between sleep or resting with air. If I use ramp up, am i setting myself up for a half hour of unsupported central apnea events? I’d like to be able to control the time of ramp up without turning off the machine. There is no way to control the ramp time on the VPAP without turning the unit off and restating it. I have to assume from your comments that you have central sleep apnea and are using a ResMed VPAP ASV. This is one of only 2 machines manufactured to care for central and mixed apneas. The other being the PHilips Respironics BiPAP AutoSV. Neither one will do what you are asking. A ramp is really dangerous. If you fall to sleep prior to the ramp time being over you are like being in neutral and amy apnea episodes you have will not be treated. I believe over time you will get use to the pressure. I had one doctor tell me that there have been cases where a person who has central apnea uses a vpap machine and their brain ‘relearned’ how to breathe correctly again. Have you ever heard of anything like that? I am not a physician and will leave this for the medical experts. Personally I have never heard such a thing. Sleep Restfully is helping patients across the US by supplying them with top rated sleep therapy and oxygen therapy devices from the most professional brands. Check out our inventory and browse smoothly all the equipment. Find the right product that suit your needs and contact us with any question.